“The condition of our home when we bought it was horrendous,” recalls Caitlin Hayden. The rambling house had been a neglected rental for decades, and the only other bidders were developers keen to take advantage of the block’s proximity to the beach. But when Caitlin saw the vaulted ceilings at the back of the house she fell in love. That initial spark – along with the home’s size and great location – was enough for her and her husband Jon to take the plunge. “I couldn’t wait to get started turning it into our dream home,” she says. That was over three years ago, and the home’s bright, beautifully layered interior is the result of a staged renovation that’s still in progress. Unsurprisingly, Caitlin’s favourite spot is the kitchen and lounge, with its whitewashed exposed beams. 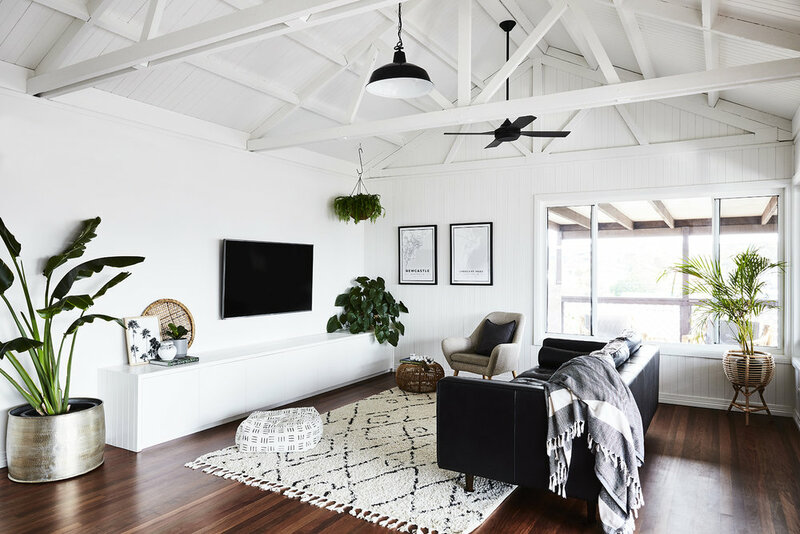 The light-filled space, which sits at the back of the home and opens onto a large deck overlooking the beach, perfectly balances refined tastes with beach-shack charisma. Want to see this home in print? 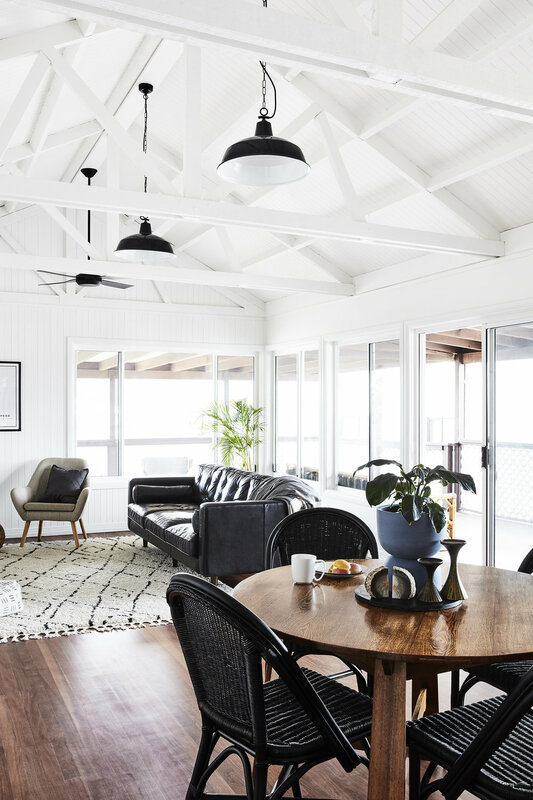 You’ll find the full home tour in our Coastal edition, available through our online shop. Click here to buy.